Our Droplet Figure stress ball is the o to guy at blood centers and pharmaceutical shows. 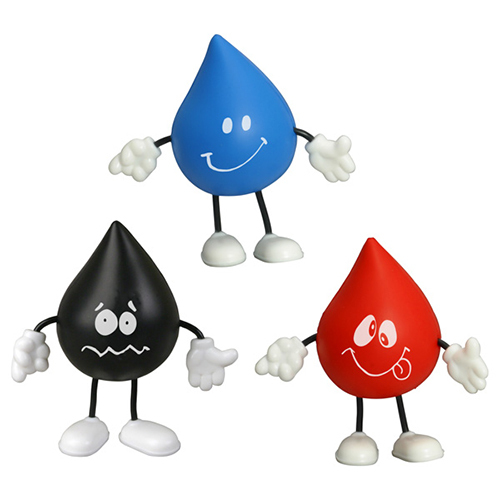 This whimsical droplet figure stress reliever comes in a bright assortment of colors. You can put a custom imprint on these droplet figure stress balls and hand them out at industry shows and events. These cute droplet figure guys are great promotions that will be remembered. Item Size : 2-3/8" dia. x 3"